Sikorsky predicts that it will certify its S-434 next year. Sikorsky is now anticipating FAA certification of the S-434 light single for early next year, slightly later than the previous target date, which was this month. An improved Schweizer S-333, the S-434 sports a four-blade rotor, a new tail-rotor blade design, a structurally enhanced landing gear, a new trim system and an improved Kaflex driveshaft. The main rotor and its transmission come from the unmanned Fire Scout. The S-434 and the S-333 use the same Rolls-Royce 205-C20W turboshaft, which provides 320 shp. 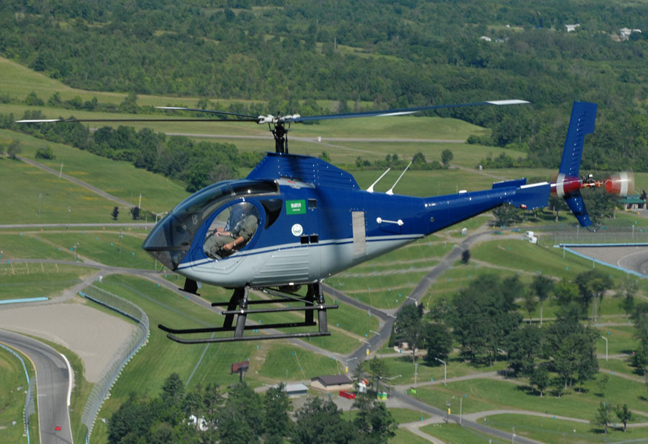 The new main rotor allows the mtow to increase by 300 pounds, to a maximum 2,850 pounds. This translates into a useful load of “more than 1,400 pounds.” The new tail rotor can generate some 20 percent more thrust than the tail rotor on an S-333. Sikorsky has not yet decided whether it will continue to produce the S-333 once the S-434 enters production. “We expect to conduct a market analysis early in 2012 to determine this,” a spokesperson told AIN.